Want to see low bail requirements and criminal-friendly sentencing in action? Look no farther than Julio Liberman. 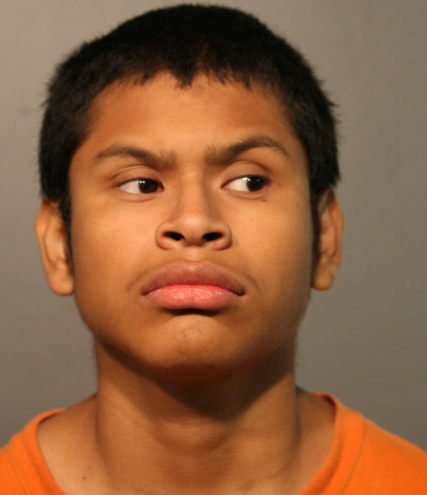 In late September, the 19-year-old Albany Park man was charged with felony burglary and felony residential burglary for breaking into a garage and rummaging through a car in the 1300 block of West Newport. He was released on a $10,000 I-Bond, meaning that he walked free and (in theory) would be responsible for paying $10,000 if he failed to show up for court dates. He skipped his first court date on October 25 and went missing. A warrant was issued for his arrest. Sheriff’s deputies rounded him up. The court did not penalize him for skipping bail. Then, Liberman was rereleased on a $10,000 I-Bond. In early December, Liberman was arrested after police said they found him with an AK-47 look-alike BB gun and an 11-inch knife with a six-inch blade in a North Side park. He was charged with possessing a replica firearm and sale or possession of a deadly weapon. Despite his on-going burglary case, Liberman was released on a $1,500 I-Bond. Three days later, on December 7, he pleaded guilty to a reduced charge of theft in the Newport case. Judge William Hooks sentenced Liberman to one-year probation. There was no penalty for skipping bail or for being arrested while out on bail. Liberman is due back in court for the gun and knife case on January 19.